High Blood Pressure: Is Medication Your Only Option? 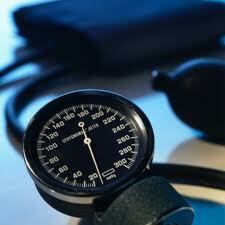 It’s well known that elevated blood pressure, called hypertension, can lead to a number of other health problems. Left unchecked it can contribute to the development of atherosclerosis, heart attack, loss of vision, stroke, peripheral arterial disease, dementia and heart failure. With all of these serious implications, it’s not surprising that doctors are vigilant and quick to take action when faced with a patient’s elevated blood pressure. Unfortunately, this action almost always involves the prescription of high blood pressure medication, which often leads to increased dosages and changes in drug types as the body adapts to the effects of the medication. What’s worse, these drugs have serious side effects such as muscle pains, flu-like symptoms, severe fatigue, erectile dysfunction and loss of sexual desire. The good news is that there are a number of highly effective ways to reduce elevated blood pressure which don’t involve a life-long relationship with these dangerous drugs. The unfortunate fact though, is that many doctors and most patients never hear about these alternatives because of the strong influence that the pharmaceutical companies are able to exercise in today’s financially motivated health care environment. It’s also important to keep in mind that sometimes what’s considered to be high blood pressure is actually a very healthy response to changes we experience as we age. Most recently normal blood pressure has been considered to be anything at or slightly below 120/80, but as we age our blood vessels become stiffer; this makes it more difficult for blood to flow. In order to compensate for this, the heart raises blood pressure to ensure that enough blood is forced through the hardened arteries so that every part of the body receives an uninterrupted flow of blood. If you lower blood pressure in a person with very stiff blood vessels to the “normal” 120/80, they can experience frequent episodes of passing out because of a lack of blood flow to the brain. Passing out and falling can often result in serious consequences, particularly as we get older. What To Do If Your Blood Pressure Is Too High? So what are your options if you’re dealing with elevated blood pressure but are reluctant to add another medication to your daily routine? If you’re serious about lowering your blood pressure you’ve probably already considered diet, and for good reason. Diet change is critical to lowering blood pressure; avoiding omega-6 oils (vegetable oils), using extra virgin olive oil, consuming plenty of omega-3 oils, and eating at least 5 servings of fruits and vegetables each day while avoiding high sugar intake and caffeine can solve some hypertension issues in and of itself. Oftentimes though, we need a little more help, and while a number of natural options are available, two of them stand-out as being particularly effective. Clinical and experimental studies have confirmed that the plant extract hawthorn has the ability to significantly reduce elevated blood pressure. Hawthorn lowers blood pressure by dilating blood vessels and has a number of additional effects which are well-suited to those with high blood pressure. Hawthorn contains powerful antioxidants which are known to strengthen blood vessels, but it also strengthens the heart at the same time. A 2010 study in the Journal of Neuroinflammation now suggests that hawthorn may also help protect the body from inflammation. This anti-inflammatory action appears to be particularly effective in protecting the brain against damage from stroke. People with normal blood pressure who are interested in maintaining good health can take hawthorn in order to benefit from its anti-inflammatory effects. Always consult with your doctor if you will be taking hawthorn along with other drugs because it could cause changes which make other blood pressure lowering drugs work more effectively in your system. The brainstem plays a major role in the regulation of your body’s blood pressure. As the most sensitive part of the central nervous system, it’s imperative that the brainstem be protected from any physical or biochemical irritation that can interfere with its ability to accurately regulate blood pressure. Physical, chemical, or emotional trauma can produce a condition called the Atlas Subluxation Complex Syndrome. This condition is characterized by a loss of the normal positional relationship between the head and the neck which interferes with the brainstem’s ability to accurately send messages between the brain and the body. A gentle procedure known as NUCCA (National Upper Cervical Chiropractic Association) is designed to correct this disrelationship in order to restore normal brain-body communication. A 2007 study published in the Journal of Human Hypertension concluded that the NUCCA procedure was able to produce “marked and sustained reductions in blood pressure similar to the use of two-drug combination therapy.” The decrease in blood pressure seen after 8 weeks averaged 17 points systolic and 10 points diastolic. Drugs and surgery should be a last ditch effort to save a body that can’t survive on its own, not a way to regain or maintain health when your body first signals that there is a problem. Elevated blood pressure is one of the many signs our bodies have to alert us that something isn’t right. Do yourself a favor and make an intelligent effort to find out what’s causing your health problems before choosing to cover up the signals with pills or potions. We love what we do and we are very proud to be a part of your health. © 2016 Rumsey Spinal Care. All rights reserved. Have a question for Dr. Rumsey? Use this form to send your inquiry directly to Dr. Rumsey. Most will receive a response the same day. Please answer the question below to help us cut down on spam.